Save these dates for ROSEFEST 2019! 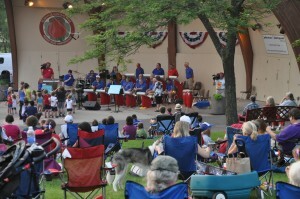 June 24-30 plus the Party in the Park on July 4th! The Rosefest festivities begin this year with the Rosefest Parade on Monday, June 24 and continue the rest of the week, then a short gap until the 4th. Hope you can join us! The Roseville Parks and Recreation website is where you’ll find the complete, up-to-date Rosefest information including a schedule of entertainment and activities including the Golden Rose Medallion Hunt.